Every year, the first Wednesday in February is designated as the National Signing Day. This year happened to fall on Wednesday, February 6, 2019. It is a day that college bound high school athletes can sign a National letter of Intent to play college athletics with their chosen colleges or universities. 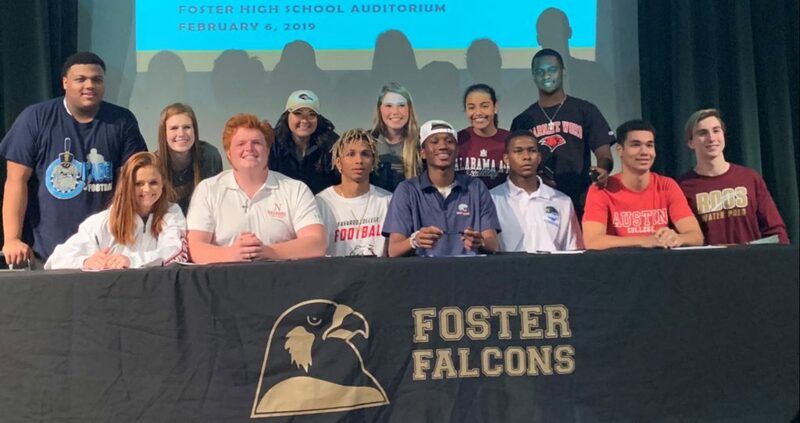 We have excellent student-athletes here at Foster and yesterday’s event was a tribute to those who will be graduating and playing athletics at the next level.